Today's 31DC prompt is "orange." 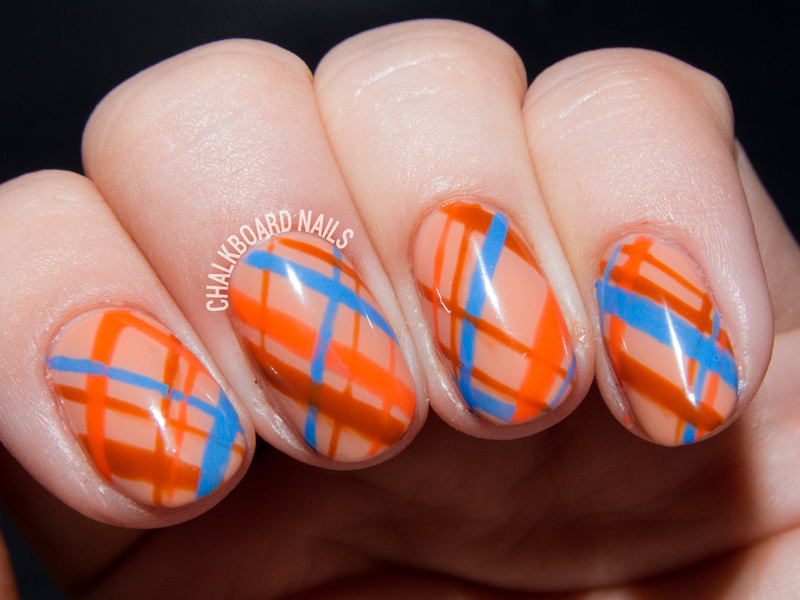 Not many people tend to reach for orange when choosing a nail color -- I think that it and yellow are the redheaded stepchildren of the polish world (or would it be orangeheaded?). That's the great thing about the challenge though, it forces you to use colors and techniques that you wouldn't normally use. For this manicure, I started with a base of OPI GelColor in A Great Opera-tunity. 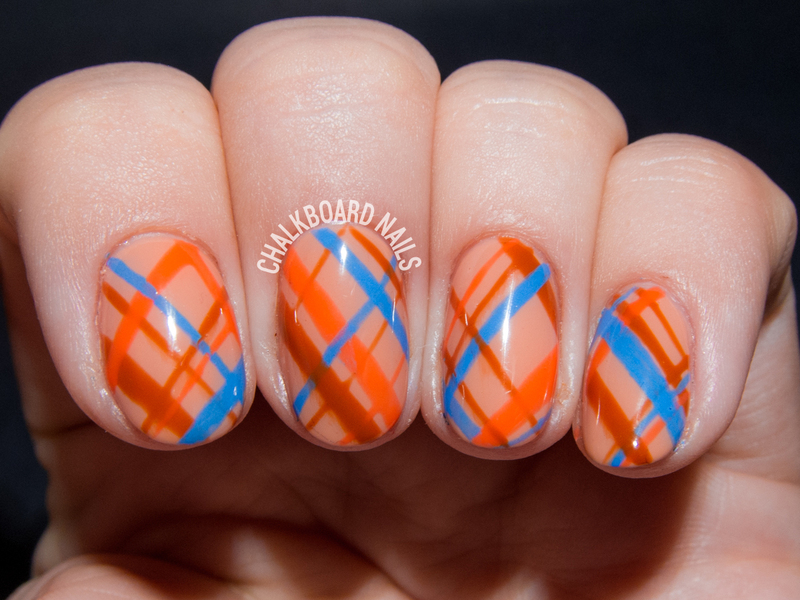 Then, I freehanded the plaid striping using OPI GelColor It's a Piazza Cake, Gelish Tiki Tiki Laranga, and Wildflower's Art Paints in Bright Blue. I finished with a layer of gel topcoat to smooth it all out. 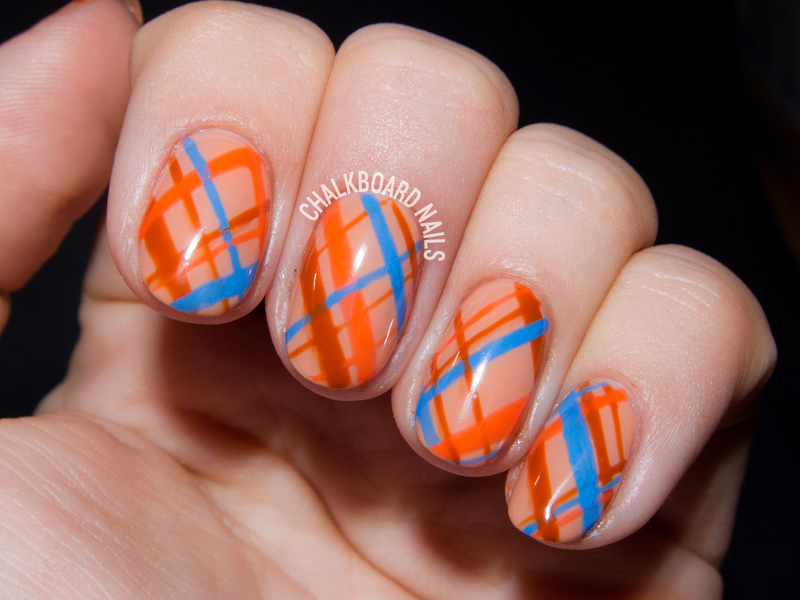 If you've got the need for more orange, be sure to check out my past orange challenge manicures!